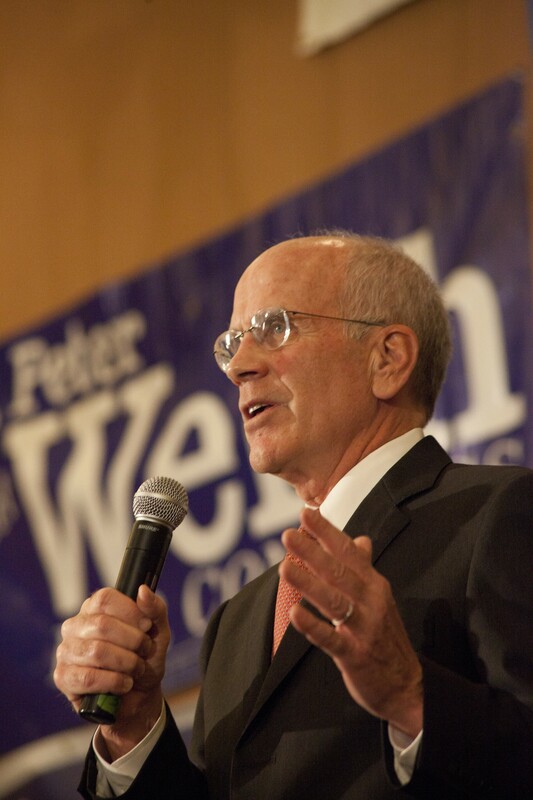 Congressman Peter Welch speaks in November 2014 after winning a fifth term. Rep. Peter Welch (D-Vt.) said Thursday he doesn’t have a specific time frame for deciding whether he will run for governor of Vermont. Welch, in his fifth term in the U.S. House, declined to characterize how real the possibility is that he will give up his relatively safe seat as Vermont's lone representative. "That's what I have to consider," he said. "For me, the question is where can I best serve." After Shumlin's announcement Monday, many considered Welch to potentially be a formidable contender. Welch said he does not feel any urgency to let other potential candidates know what he plans to do. “Everybody’s got to make their own decision,” he said. “Voters — the election is 18 months away — they’re not worried about what the timetables are." Welch’s wife, Margaret Cheney, is a member of the three-person Vermont Public Service Board, which regulates public utilities. Welch declined to speculate whether she would have to resign if were elected governor or whether that is a consideration. “You’re getting way ahead of me,” he said. Welch, 68, a lawyer who lives in Norwich, has run for governor before. In 1990, he lost to Republican Richard Snelling. Welch has had two stints in the state Senate, both times serving as Senate president pro tempore. In 2006, Welch won a close race against Republican Martha Rainville for the open U.S. House seat. Welch has had four relatively easy reelection bids, winning 64 percent of the vote in 2014.